Found nowhere else on earth, Eldon’s are solely found in the Otago region. With only 18 known populations left, Eldon’s galaxiids are one of New Zealand’s rarest freshwater fish. Classified as ‘Nationally Endangered’ they share the same threat status as Hector’s dolphin. 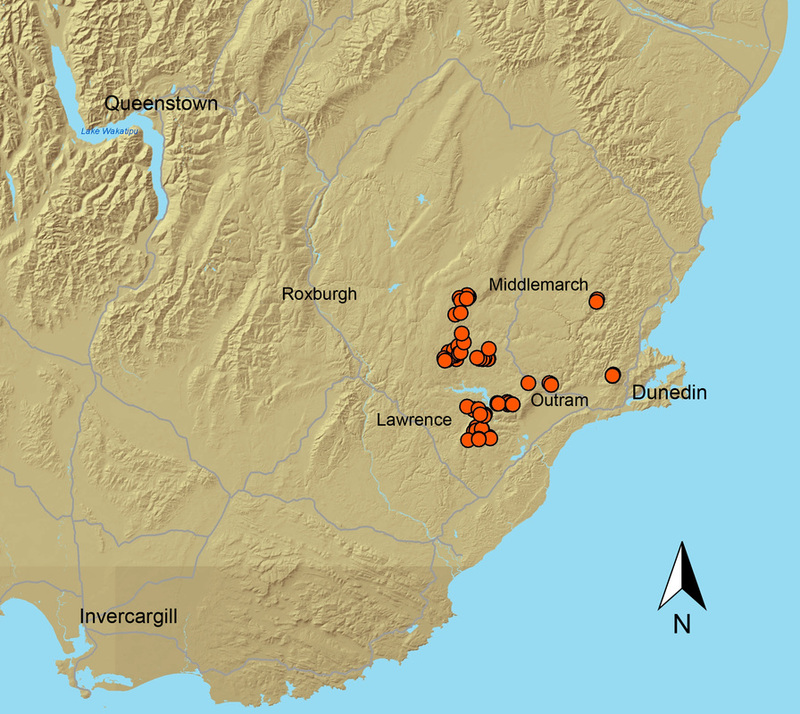 Eldon’s galaxias are found in eastern areas of Otago, living in small tributaries of the Taieri, Waipori and Tokomairiro rivers draining from the Lammerlaw range, downstream of Lake Mahinerangi. Their total remaining habitat can fit in an area of less than 5.4 hectares. Eldon’s are a sleek, dark grey brown fish, with creamy-gold bars, bands or patches along their body. They are relatively cryptic and often go undetected by day. Not the largest of fish, Eldon’s typically can grow to up to 150mm in length. Their small size is not a reflection of age – Eldon’s may live up to 12 years. They feed on small stream invertebrates such as mayflies and stoneflies. 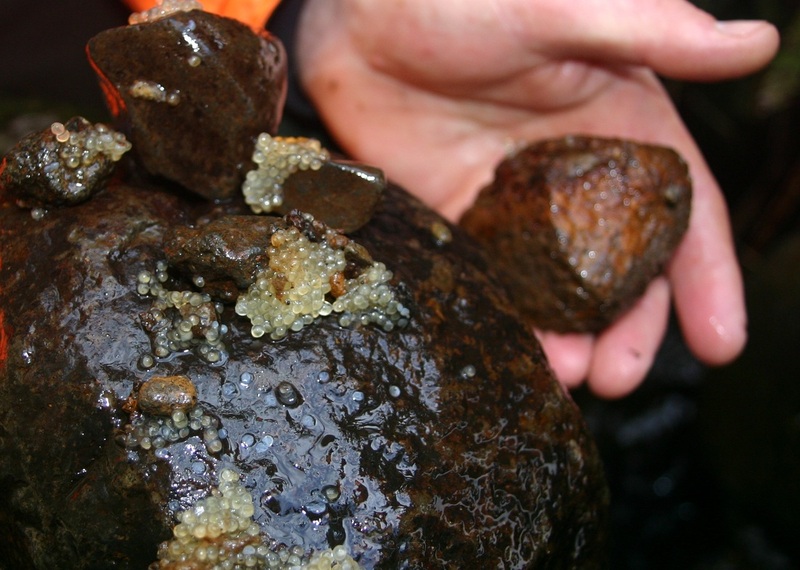 Eldon’s spawn in spring (October to November), laying tiny 2mm eggs during high water flow events and eggs are deposited instream under rocks. Eldon’s are generally found under banks and amongst the gravels of very small (<1m wide) headwater streams. 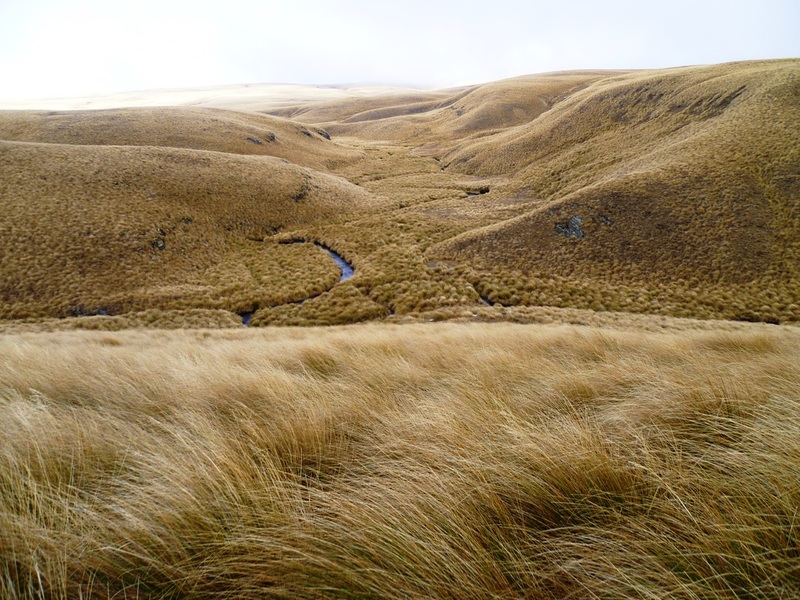 These streams are typically about 200 – 900m above sea level, and surrounded by riparian vegetation such as snow tussock, manuka and coprosma species. Over the last decade we have lost 20% of known Eldon’s populations. These losses can be directly linked to a number of pressures. These include the introduction and spread of sports fish (trout and brook char) which eat Eldon’s, and changes in land use such as stock access to streams, reduction of native vegetation, land development and forest harvesting. These land use changes have been found to impact on streams and the galaxiids that live there, by increasing sedimentation, changing natural flows through water abstraction, and reducing the amount of habitat available to galaxiids to spawn.